We finally had some cold weather and now have 8-10″ of good ice on Cutfoot Sioux. A couple inches of snow is on top of the ice, so getting around is still pretty easy with 4 wheelers and snowmobiles. The gap between Cutfoot and Winnie has been open for a couple weeks, and finally froze over last night…so no travel on the ice between the lakes!!! This is usually an iffy spot, but will definitely be bad for a while. It’s snowing now and it looks beautiful outside. 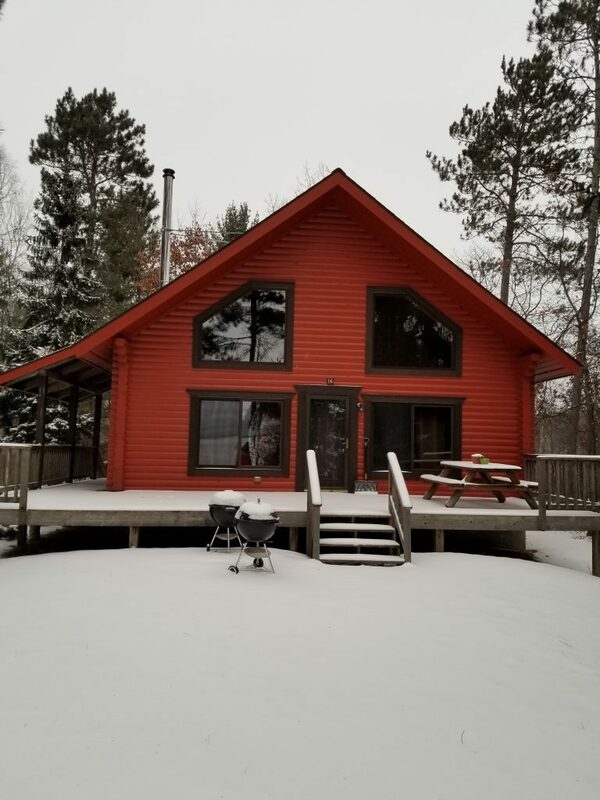 Cabin 16 is cozy in the winter.